Tote all of your tennis gear in style to and from the court with our chic Tennis Tote in a deep navy canvas with a contrasting cool gray trim. 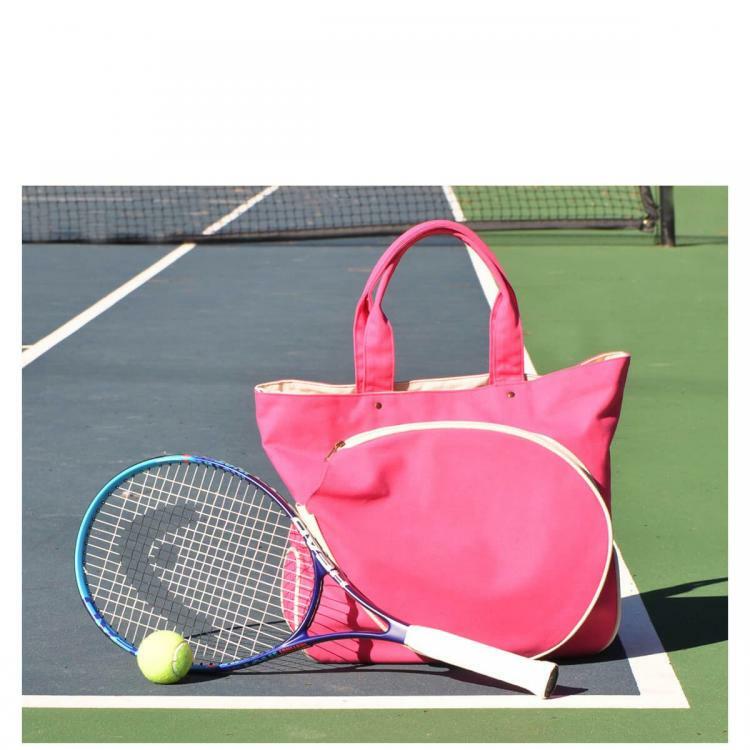 Built to last with a roomy cotton lined interior, antique brass bottom stud feet, and a front tennis racquet pocket that holds a standard sized tennis racquet, this innovative tote is sure to be a winner. We have three colors to choose from. You can choose our navy bag with gray trim or our black bag with green trim. We just love our newest bag in hot pink trimmed in natural canvas. Price: $79.00 In stock! - Browse this brandOur products are custom made to your specifications. This product ships up to 2 weeks after your order is placed.